Global Express (Your Morning Brew, 7:20am): Various artists, Red Hot + Rio 2 This 2-disc set is a contemporary take on the 60s tropicalia movement from Brazil. Featured Album of the Week (Your Morning Brew, 8:20am): Deer Tick, Divine Providence This loud alt-rock record captures the energy of their famous live shows. Local Pick of the Week (The Home Stretch, 3:30pm): All week Carol will be featuring artists, including many locals, playing at this weekend's Desert Bluegrass Festival at AVA Amphitheatre. National Pick of the Week (The Home Stretch, 5pm): C.J. 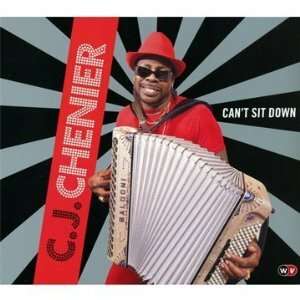 Chenier, Can't Sit Down C.J. 's musical mix yields a spicy gumbo of zydeco, r&b, soul and funk.